Vehicles, industrial equipment, aircraft, marine equipment in fact anything can be created by our team of model makers at any scale using cutting edge processes. 3D solid modelling has allowed a much greater scope for the production of scale models. 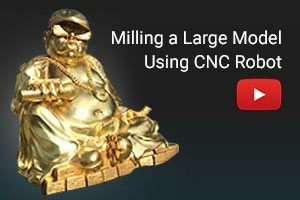 The valuable CAD data can be up or down scaled in seconds and then used by our model makers for a variety of production methods incorporating CNC milling, CNC turning, SLA, SLS, PMMA rapid prototyping, vacuum casting, RIM moulding and metal casting. Fine detail is retained on small scale models and accuracy is perfect on large scale models. In addition the speed of delivery is greatly improved. Our scale model makers will use hand finishing, painting and metal plating processes to complete the models. In cases where a client is not able to supply 3D CAD data we can offer 2 options. The most cost effective is usually to 3D laser scan the actual item which needs to be up scaled or down scaled. The laser scan data can be imported into our Solidworks design software to create 3D CNC data and rapid prototyping data which can be interpreted by the production machinery and altered to the appropriate scale. When there is not an original piece to re- scale we will, in many cases, recommend that our 3D CAD team create a 3D model from scratch. Whilst this incurs a cost this is more than offset by the savings achieved by CNC and rapid prototyping manufacturing techniques. It is also possible to purchase 3D model data commercially from extremely comprehensive online libraries of 3D CAD data. Clients often require products to be up scaled for exhibition and promotion purposes. An example of this is a giant electric toothbrush model project. Our client would not supply CAD data for product confidentiality reasons so we were given an actual working toothbrush which had to be scaled by a factor of 10. Laser scanning was utilised to generate the 3D CAD data and the various elements were machined from this data using our Delcam CNC milling CAD software. The scale modelmakers created up scaled graphics which were laminated with clear acrylic to achieve the required level of realism. High quality paint finishing completed the model which is used at trade exhibitions throughout the world alongside several up scaled tubes of toothpaste and a giant tooth we have made. To exemplify the process in reverse a Japanese client engaged us to build a small scale model of their electrical process product. From the clients supplied A-surface 3D CAD model we were able to down size the equipment to 1:10 scale. The ability to utilise the production 3D CAD data for a piece of equipment allows the model makers to achieve an amazing level of detail. The customer was delighted with the end result and uses it to demonstrate their product at a trade exhibition where it would be impractical to show the real equipment.